When the city of Denver outlaws pitbulls, Lucas (Jonah Hauer-King) and her dog Bella (voiced by Bryce Dallas Howard) have to be separated as she'll be put down by a corrupt dog-catcher if she's found. Bella is then set to New Mexico, but after becoming so lonely without her master, she decides to escape and head back to Denver to find Lucas. Let's be clear about this from the start - dogs are better than most people. If you have a dog, you know this is already fact. Therefore, spending 96 minutes and probably €20 to have yourself reminded of this fact might seem like it's a waste of your time. That's as may be, but 'A Dog's Way Home' isn't trying to remind you of this universal truth. Instead, 'A Dog's Way Home' is trying to give you diabetes. If you happened to catch 'A Dog's Purpose', you'll know that putting dogs on screen, giving them a feel-good story, and throwing in reasonably recognisable actors around them is a recipe for decent box office returns and will leave audiences warm and fuzzy on their way out the door. It's the same thing here with 'A Dog's Way Home' - you've got Bryce Dallas Howard voicing the pitbull-cross Bella, you've got Ashley Judd and Edward James Olmos in there as supporting characters, and you've got a familiar story about a dog returning to their master and facing incredible odds to do so. 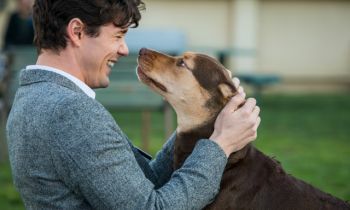 You can't blame 'A Dog's Way Home' for being exactly what you thought it was to going to be, because there is no denying that it has an effect. 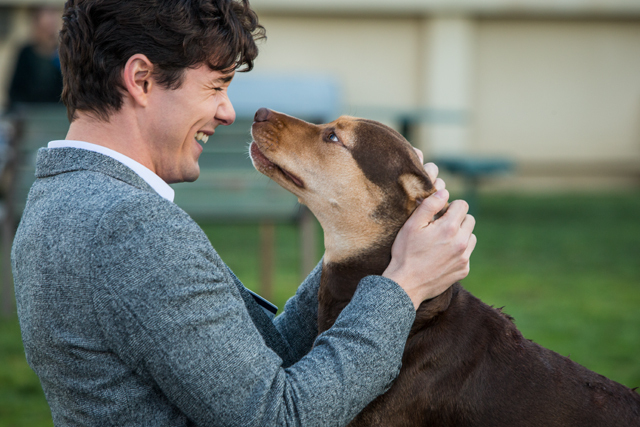 You'd want to have a heart of stone (or being a jobbing film critic) not to feel something tug at your heart strings watching it, and if you're not a dog person, then why are you even watching this? 'A Dog's Way Home' is by no means as artistically robust as, say, 'Isle of Dogs', but you can't help but smile taking it all in and like the most sickly sweet cakes, you can bite into it and get nothing but straight sugar into your veins. Enjoy it for what it is, try ignore the comparisons to 1993's 'Homeward Bound: The Incredible Journey', and you'll have an enjoyable hour-and-a-half at the cinema with the family.